Since its roof caved in a few years ago, Rio’s Positivist Church has been struggling to get the funding it needs to rebuild. Located just a short walk from the Glória Metro stop, the Positivist Church is a mere shadow of what it used to be. 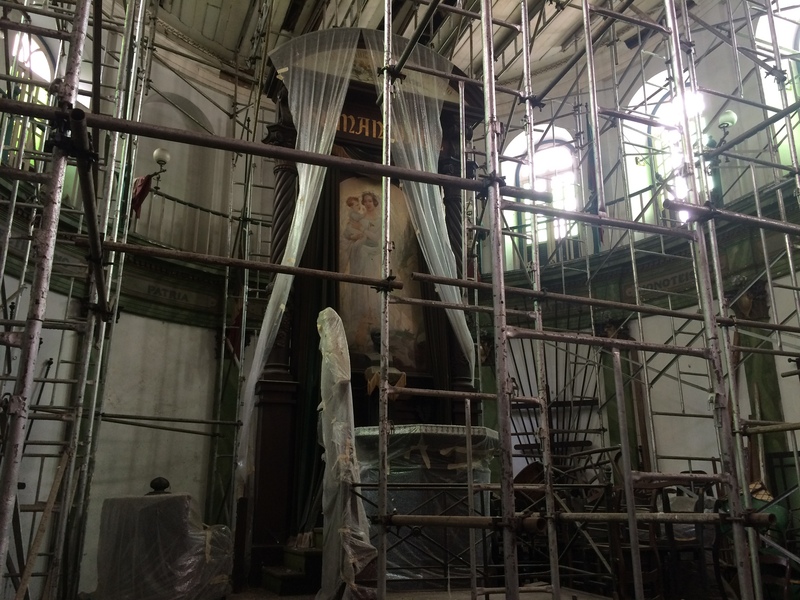 Now in complete disrepair, the façade is faded, the supports are falling apart, and the relics have been relocated to the basement for protection. But that hasn’t stopped the remnants of the church’s congregation from trying to rebuild. Positivism arrived in Brazil from France in the late 19th century. 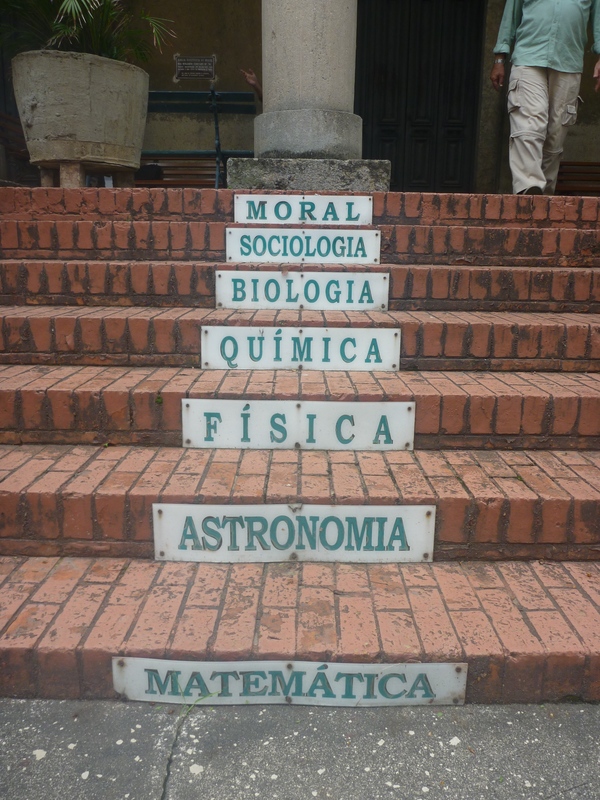 Its message against organized religion, especially Catholicism, appealed to many of Brazil’s residents and in May 1881, the movement found a physical location in the Positivist Church. The impact of Positivism on Brazil even extended to its flag. The original design of the flag, which depicted thirteen horizontal stripes of alternating green and yellow with a blue field of stars in the upper left corner representing the states, was rejected by Miguel Lemos, the co-founder of the Positivist Church in Brazil. In its place, he offered a design by the other co-founder, who also happened to be his brother-in-law, Raimundo Teixeira Mendes. This new iteration of the Republic flag incorporated the positivist slogan, “Ordem e Progresso,” or “Order and Progress” and was adopted by the Republic on 19 November 1889. Barring a few minor changes, it remains the flag of Brazil to this day. In addition to its influence on the flag design, positivists and positivist thought also contributed to the abolishment of slavery in Brazil, the coup that shed Brazil of the monarchy’s influence, and the foundation of the Republic that followed. However, you wouldn’t know of Positivism’s importance to Brazil when looking at the Church today. The collapse of the roof has left it inoperable and created a serious security problem for the valuables that are stored there. 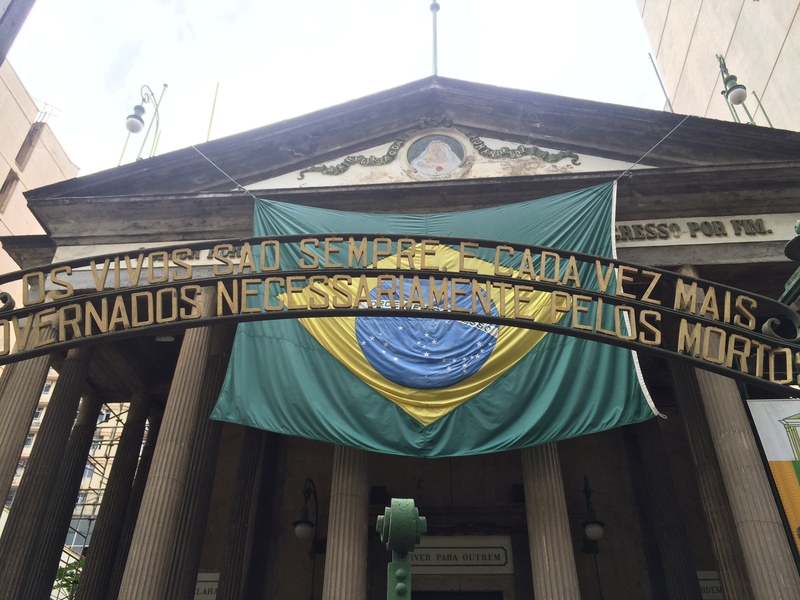 One thief managed to make off with the original template for the flag of the United States of Brazil, which had been on display in the church when it was still operational. The church’s few remaining followers are scrambling for the support they need to reestablish and renovate the church. They want to reopen the church both as a place of worship and as a museum honoring the history of Positivism and its relationship to Brazil. But support is lacking. Funds are instead being sent to projects such as the Porto Maravilha, which attempt to overwrite the historical significance of locations in favor of a shiny new modern image in line with Rio’s desire to be a global city. Positivism, now forgotten, is no longer important enough to merit the support and acknowledgement that it deserves.